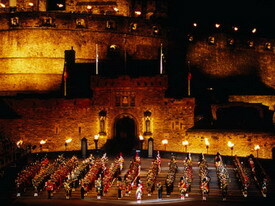 Edinburgh has existed for hundreds of years, and has been known as the capital of Scotland for nearly 600 of them. It isn't surprising then to find that the city is steeped in history and tales of excitement and intrigue, when you consider the number of people that have lived in the area over the centuries. That could be why ghost tours of the city are so popular. They are certainly a refreshing change from the more standard city tours you can go on, and they give you an insight into the past as well. Some claim to have seen ghosts on these tours, so whichever ones you choose you should be prepared to get some surprises! One particular tour takes in the underground vaults beneath South Bridge. These were thick with activity more than a hundred years ago, but after a time they became unusable and were sealed up and forgotten. The businesses that were there moved out and went elsewhere. As with most places like this modern times led to them being uncovered and rediscovered once more. They are now accessible on the ghost tours that operate in the area - and you may just experience something otherworldly during your time in the vaults. Many people already claim to have done so. Some ghost tours take place strictly above ground though. They take you through the streets of Edinburgh and tell you what life was like centuries ago. The tales can go back to the 1600s and beyond, and while you may not always see or feel anything ghostly, they certainly do conjure up a memorable state of mind while you are taking part! While many Edinburgh ghost tours take place along the city's streets, one of the best takes place completely underground. This is the tour of Mary King's Close. This close is situated right under the Royal Mile, close to Edinburgh Castle. As you descend into the close you will leave the 21st century behind and be transported back in time to experience life as it was for people who lived there. Although the tours offered here are not really ghost tours, many visitors have reported seeing and hearing things while in the close. So if you pay a visit you may see more than you thought you would. 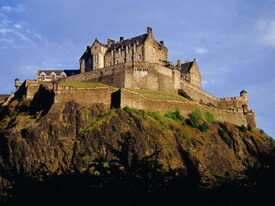 Edinburgh is easily accessible from all areas of the country as well. Edinburgh flights bring you to within a few short miles of the main part of the city. Once you have landed it doesn't take long to reach the city itself. If you arrive during the day you could even take part in your first Edinburgh ghost walk that very evening - if your nerves are up to it. About the Author - Adam Singleton writes for a digital marketing agency. This article has been commissioned by a client of said agency. This article is not designed to promote, but should be considered professional content.